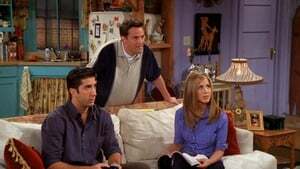 Ross’s new girlfriend seems nearly perfect until he visits her house and discovers that her apartment is incredibly dirty. Chandler helps Joey pick out a thoughtful present for Kathy’s birthday. Rachel attempts to finish a crossword puzzle by herself. And Phoebe helps Monica cater a funeral.